This small, clump forming bulb is an essential culinary. It is also very pretty when the pink flowers are in spring bloom. 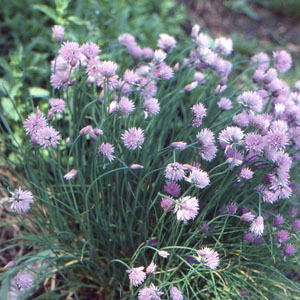 Can easily be grown in the garden, pot, or windowbox. Leaves can be cut and cut again throughout the growing season.